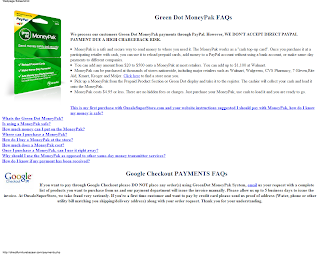 Yet another Green Dot MoneyPak scam site. The scam is old, the victims will be new. Greedy idiots commonly fall prey to this scam. elitecargoexpress.com is a fake shipping and escrow site targeting Canadian buyers of season tickets for National Hockey League teams. There is nothing in real life as a shipping and escrow company. 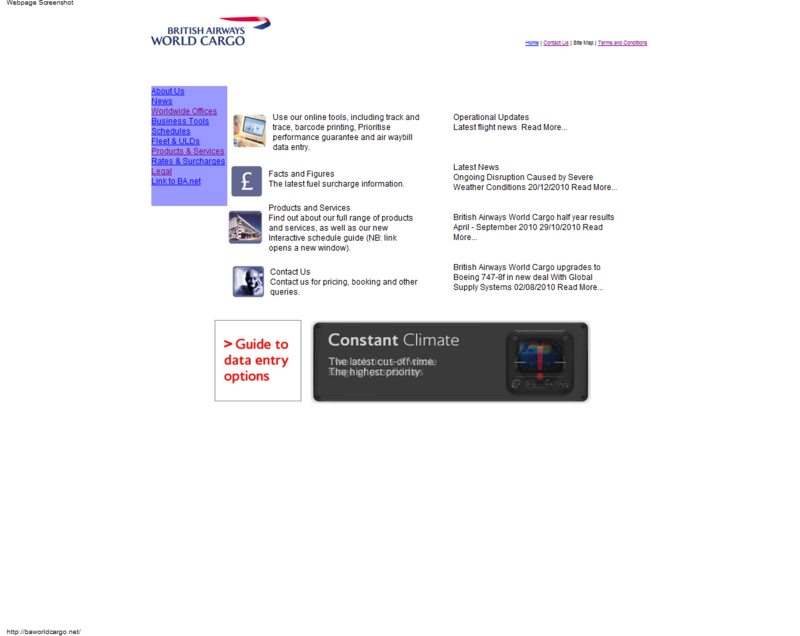 The site is being run by scammers based in Romania. Notice there is no secure connection? There is no secure server. There is no 256 bit SSL. • Will Elite Cargo Express Inc disclose any private information I provide? 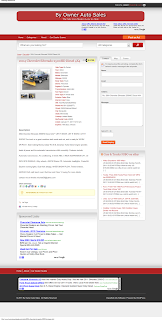 We will provide the shipping information (tracking number) to the seller. The buyer submits a payment to Elite Cargo Express Inc in order to verify and process the funds before proceeding to the next step. The buyer must decide to accept or return the merchandise received before the inspection period expires, or it will become non-returnable. 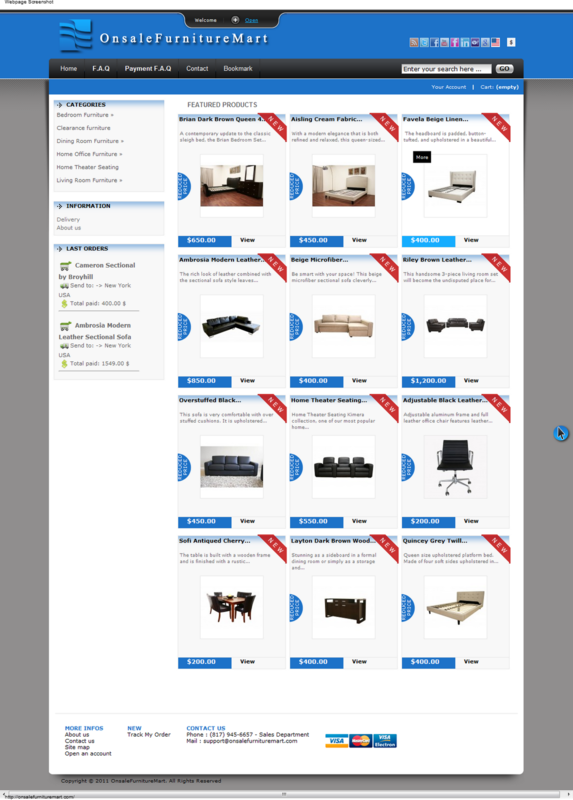 If the buyer accepts the merchandise, Elite Cargo Express Inc pays the seller and the transaction goes to Step 5. Otherwise, the merchandise is sent back to the seller and, after verification, the money is returned to the buyer. Elite Cargo Express Inc will ship the merchandise only after our Payment Dept. verifies the funds. 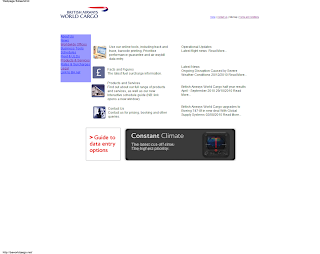 Once you have a Elite Cargo Express Inc account, after logging in, click on Start a Transaction icon in the Third Party Agency Tools section. The page that will load will guide you through the rest of the process. 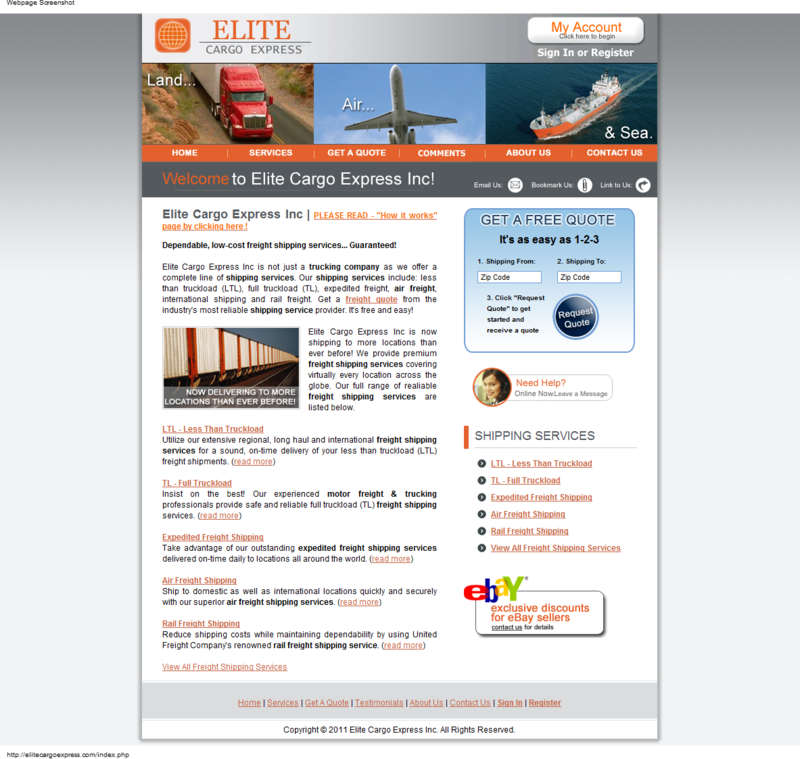 • How does the buyer pay Elite Cargo Express Inc? Elite Cargo Express Inc only accepts wire and money transfer, in order to reduce the risk of credit card fraud on the buyer's side. PayPal will be accepted soon. • Can I tell the password to my Elite Cargo Express Inc account to a friend so that he can use it? 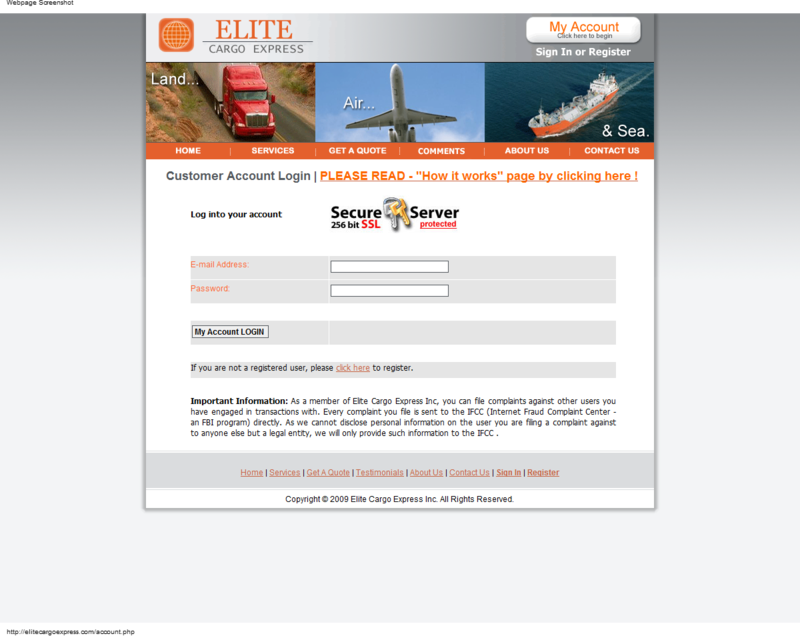 - Do not enter your Elite Cargo Express Inc account password on any website. Elite Cargo Express Inc will not disclose any of the information you provide to any third party, excepting legal entities. Elite Cargo Express Inc acts as a secure middleman between the buyer and the seller. Au-cartrader.com a fake shipping and escrow company run by Romanian scammers, registered in Russia and hosted on a server in Russia. 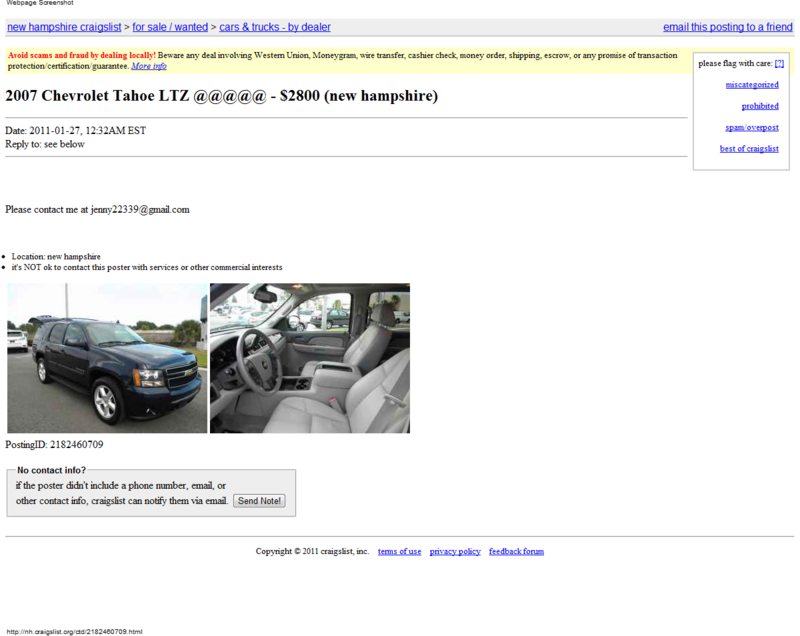 The fake site is targeting car buyers in Australia. 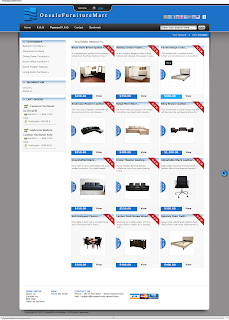 We all know that there is nothing in real life as a shipping and escrow site. These scammers created a domain named http://www.defenceairforces.com/, which forwards to the legitimate site http://www.airforce.gov.au/, to trick buyers into thinking they are dealing with a legitimate person in the Royal Australian Air Force. 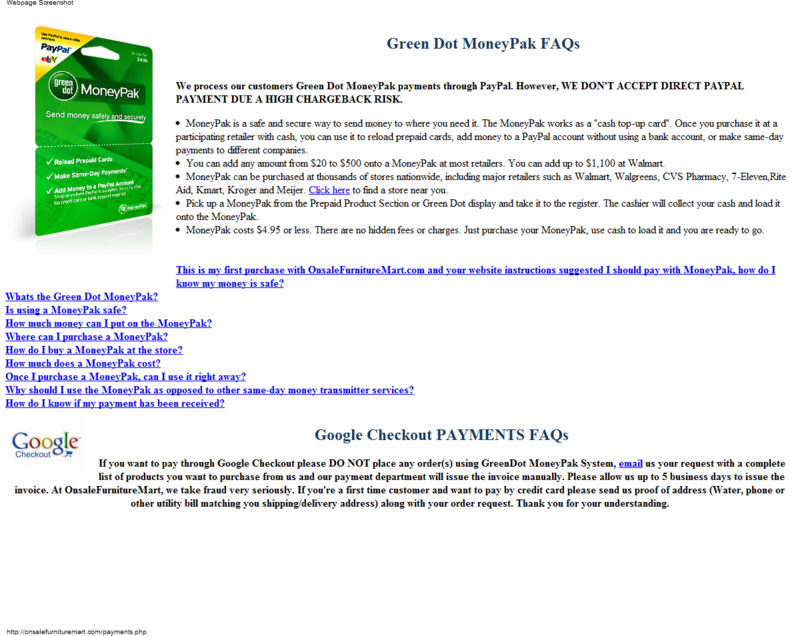 The scammers are then instructing their intended victims to send payments via Western Union. I've spoke to my superiors and I can take 4 days permission to bring the car but I don't want to take this permission and maybe come for nothing, I mean that there is a risk of coming to you and...you simply don't show up and I don't want to be embarrassed because there will not be a second chance for me to take a second permission. Carsales website recommends using escrow companies for distant transaction and I believe http://www.au-cartrader.com/ can do a very good job. I've read their terms which is suitable for both of us but first you must register at their website and then provide your user name so I can start the transaction. 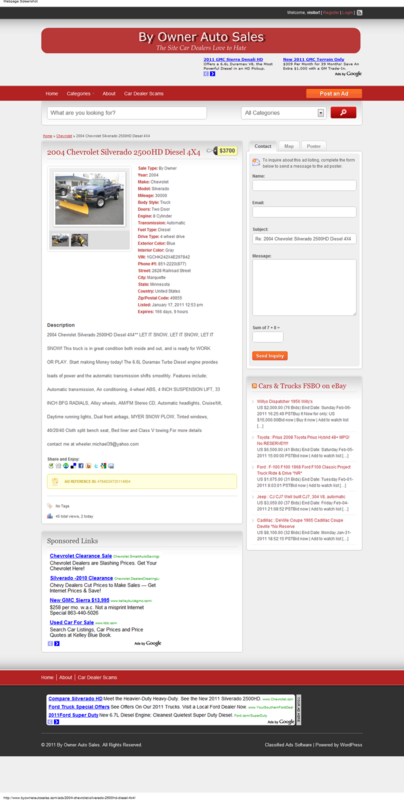 You can read how escrow works here: www.au-cartrader.com/howitworks.php . I can give you one day to test the car at any inspection service you wish and only if you decide to keep it, they will release the money to me so, this is the safest way. I'm going to drive the car myself so...there will be no shipper or shipping company and the reason of using an escrow company is because I don't want to drive all the way just like that, I must be sure I'm coming for something because as you probably know is a very big distance . Let me know your decision because there is another person who wants to buy it and I need to know which way to go.